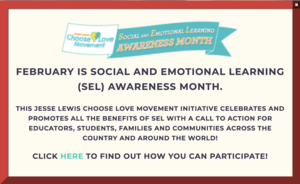 The Jesse Lewis Choose Love Movement celebrates and promotes the benefits of a Social Emotional Learning program for educators, students, families, and communities everywhere. The month of February is to highlight and be proactive in our mental health. Learn more by clicking on the links below. 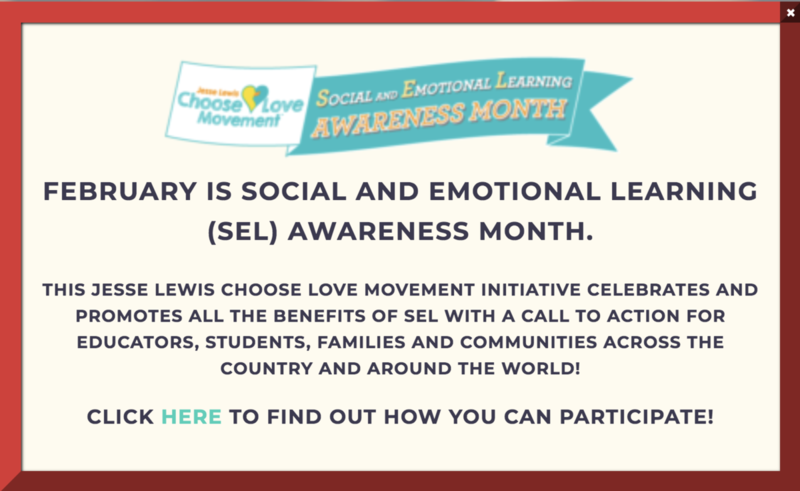 To learn more about the Jesse Lewis Choose Love Movement Initiative click here. In this link, you will learn How do you Choose Love? and you'll be able to download a toolkit to help celebrate Social and Emotional Awareness in your home and community. To download the Choose Love At Home Program click here. Create a free account and download free lessons and activities you can do at home with your family.